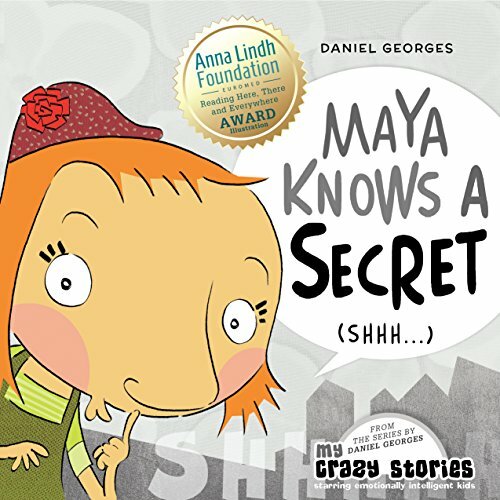 One day Maya asks her dad, “What is a secret?” He explains that a secret occurs when someone else tells you something that nobody else knows. Maya wonders then how does one know it is a secret. Dad explains that they will tell you not to tell anyone. Maya is dying to know a secret, but no one seems to want to tell her one. Finally, she finds one when a storekeeper reveals his secret, but Maya is frustrated when she accidentally reveals the secret to a friend. The illustrations in this book are adorable and the message is a “spot on” way to explain the concept of a secret to young children. Highly recommended for primary school aged readers. This looks cute! Thanks for linking up at Booknificent Thursday on Mommynificent.com this week! Children are so into secrets. I love the way the author helps them to understand the concept.